This one bedroom apartment with bathtub/shower and kitchen was within a 30 minute channel walk to the edge of old town Vienna. Well stocked Grocery stores were very close as was the Metro. 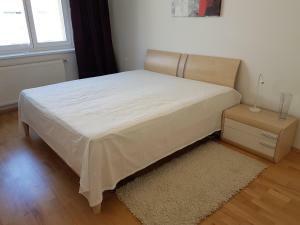 Spacious and close to public transport and supermarkets. A home away from home. The apartment is spacious and cozy and the kitchen was the best I’ve ever seen in any stay: it had everything - amazing oven, pots and pans and china and cutlery, the works. The wifi connection was stable and reliable. Very comfortable bed. The person who received us was the nicest! Irina was helpful and friendly. Also, it was easy to get in touch with Ms. Buzu, who was readly available on whatsapp when we needed. We definitely reccomend it. 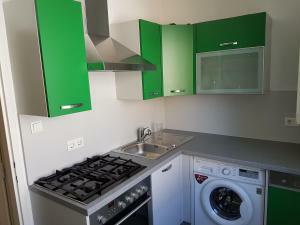 Appartamento spazioso. Buona dotazione. Molto tranquillo. 8/10 minuti dalla metro. Perfekte Lage, 5 min zur U-Bahn. Wir hatten die Bikes dabei, daher schnell an der Donau oder n der Stadt. Ausstattung perfekt! 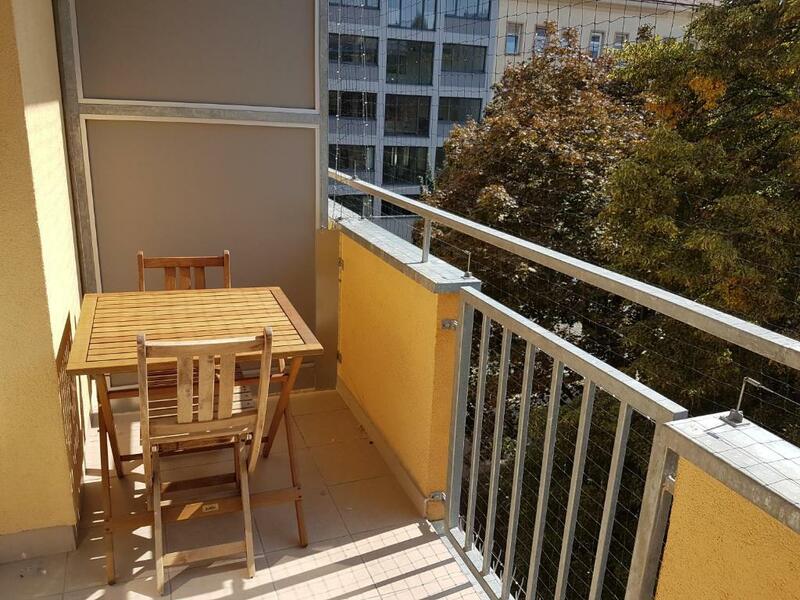 Wir haben den Balkon genossen - auch wenn er klein ist. Empfehlen wir gerne weiter. Очень тихое и спокойное место. Можно гулять и загорать на берегу, как местные жители или посещать все достопримечательности Вены. Рядом станции метро 2 веток U4 U6 и трамвай. Без проблем одна добиралась домой поздно вечером после оперы и концертов. В квартире удобно жить - все есть, даже испекла штрудель в отличной духовке ;). Близко магазины и лавки, которые работают позднее , чем обычно в Вене. Отличный вариант, если хотите пожить как настоящий венец. Аппартаменты очень профессионально оборудованы- отличная кухня и прочее домашнее оборудование- есть все, что может потребоваться, удобные кровати, хороший Wi-Fi, тихий спальный район. Недалеко метро U4 и U6. Быстрое решение всех вопросов. Приятный бонус - служащая, говорящая по-русски. 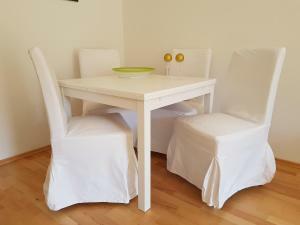 Lock in a great price for GoVienna Bright River Apartment – rated 8.2 by recent guests! One of our best sellers in Vienna! 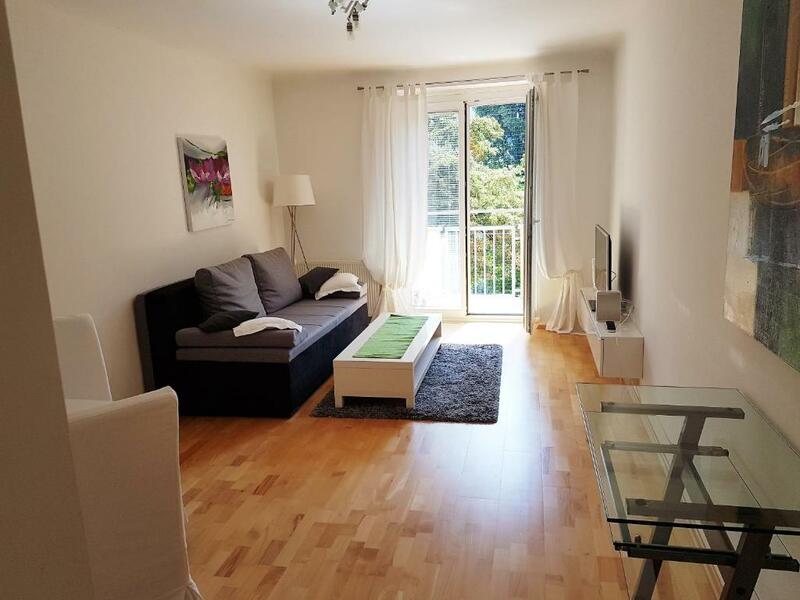 2 miles from Rathausplatz, GoVienna Bright River Apartment is located in the 20. Brigittenau district of Vienna. The property has garden views and is 2.2 miles from St. Stephen's Cathedral and 2.3 miles from St. Peter's Catholic Church. This 1-bedroom apartment includes 1 bathroom equipped with a bath and a hair dryer. 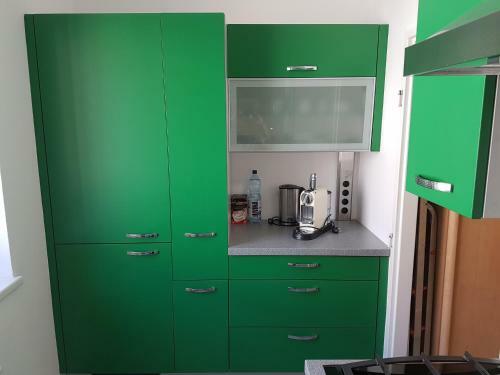 There's a seating area and a kitchen equipped with a dishwasher. Vienna City Hall is 2.3 miles from the apartment. The nearest airport is Schwechat Airport, 13 miles from GoVienna Bright River Apartment. 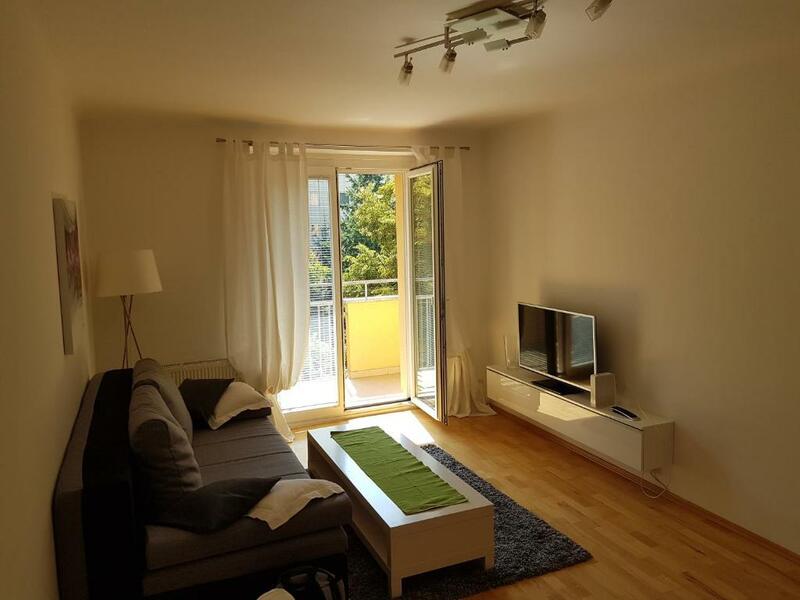 When would you like to stay at GoVienna Bright River Apartment? This apartment has a tile/marble floor, stovetop and cable TV. Area Info – This neighborhood is a great choice for travelers interested in city walks, convenient public transportation and old-town exploration – Check location Good location – show map Guests loved walking around the neighborhood! 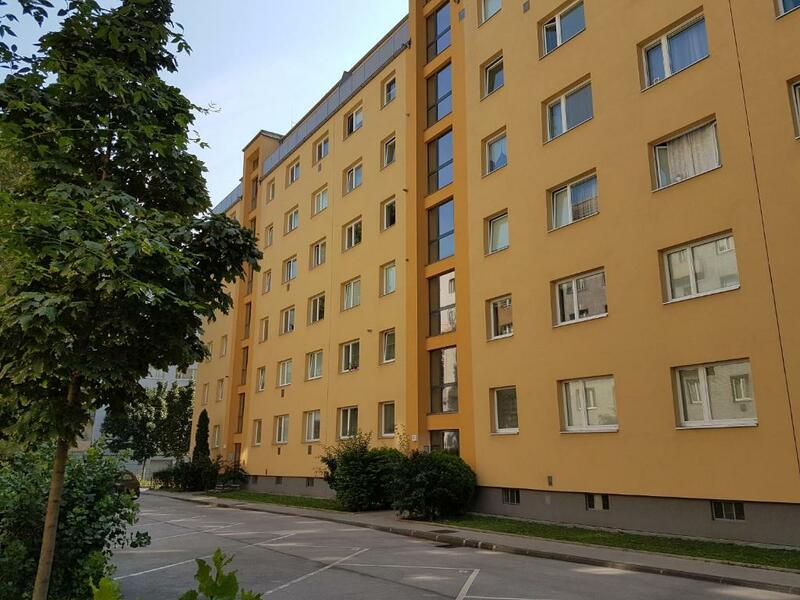 House Rules GoVienna Bright River Apartment takes special requests – add in the next step! GoVienna Bright River Apartment accepts these cards and reserves the right to temporarily hold an amount prior to arrival. Please inform GoVienna Bright River Apartment of your expected arrival time in advance. You can use the Special Requests box when booking, or contact the property directly using the contact details in your confirmation. Apartment needed a thorough cleaning-ie grime in corners on walls etc. There was no microwave. The apartment had a very heavy scent of cleaning products and the bedding was also washed with scented products. Apartment was not a scent free zone. They were very carefull to collect the cleaning tax of 40 euros (reminding me in a few emails before) and also they tax me 15 euros because I arrived after 21.00 at the property (for late arrival) even it wasn't a matter of waiting too much after me as I informed them about the hour of my arrival (I could not change the hour of the flight). I told them in advance I am in a business trip and I need an invoice but they just ignored me. The location is exactly in the opposite direction of the city's attractions (can't do anything without using the public transport). The guests are informed they need to "return (the kitchen) in the same condition as it was when taking over..." What's the purpose of the cleaning tax then? In a hotel you can get cleaning services every two or three days included in the price per night. Here the price is similar and the guests must take care themselves. There were no toiletries offered, except for a hand soap. The sink is very small, the mirror cabinet comes over the sink and makes it difficult to use it. There is no counter or a space were to leave your stuff. The check out is early and they don't provide a baggage deposit facility. It smelled a bit like the previous people had smoked a lot. We didn’t know the apartment number (we did not ask as we thought all we needed was stated in the info on booking) so it took us a while to find it. It was not as close to the main areas of interest as we thought, but there were plenty of options of public transport and it is really easy to get about in Vienna, so, no great deal actually. We arrived after 21.00,where there is no check in area and we had to first go to a hotel on the other side of the city. They could had arrange to pick up the key from a place closer to the property. Moreover There could be some shampoos, shower gels and maybe coffee. 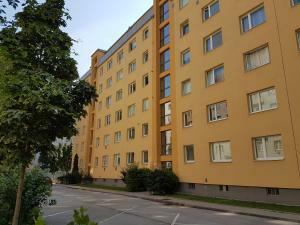 Too far from centre of city.Toilet seat broken and also shower head broken.Green blanket on bed needed a dam good wash. No introduction verbally or showing of map for the city.Would not stay there again.